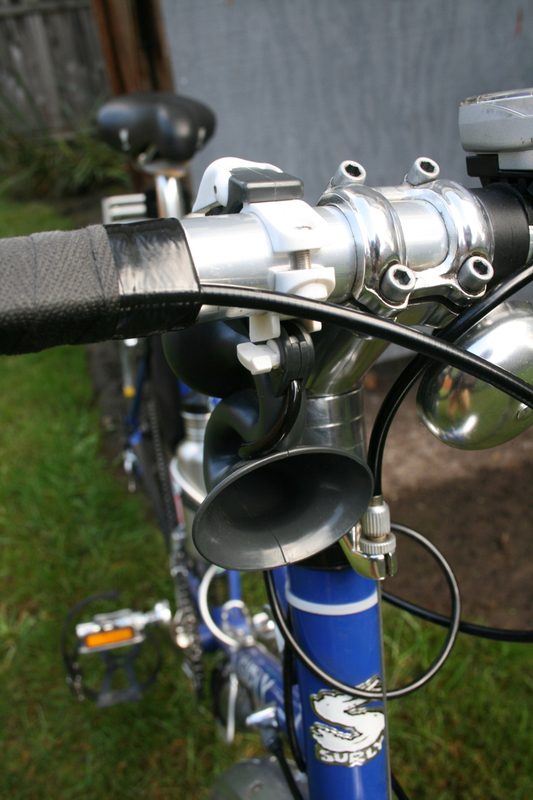 I ordered the Delta Airzound Bike Horn back in February. I have had a good 8 months to try it out now. 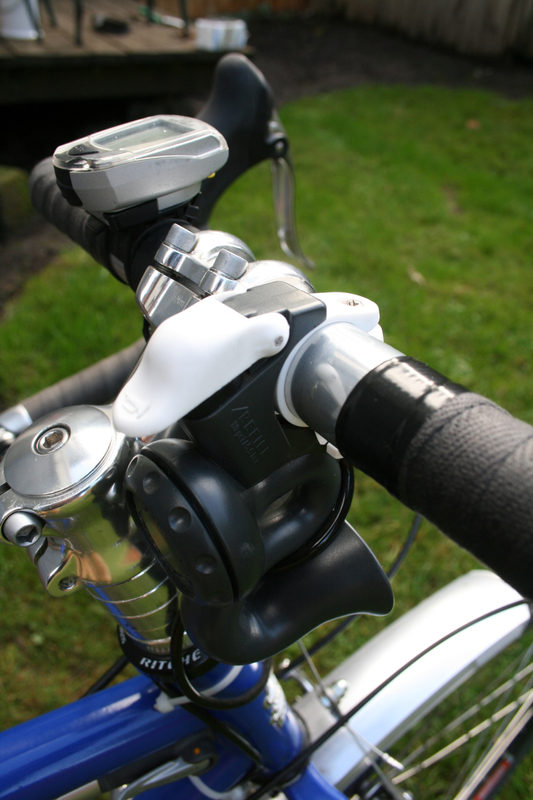 The Airzound is a great accessory for a cyclist that does anything more than recreational cycling. The basic design is a plastic bottle (it looks just like a single use bottled water) full of compressed air. Leading off of the bottle is a plastic hose that meets up with the horn itself. 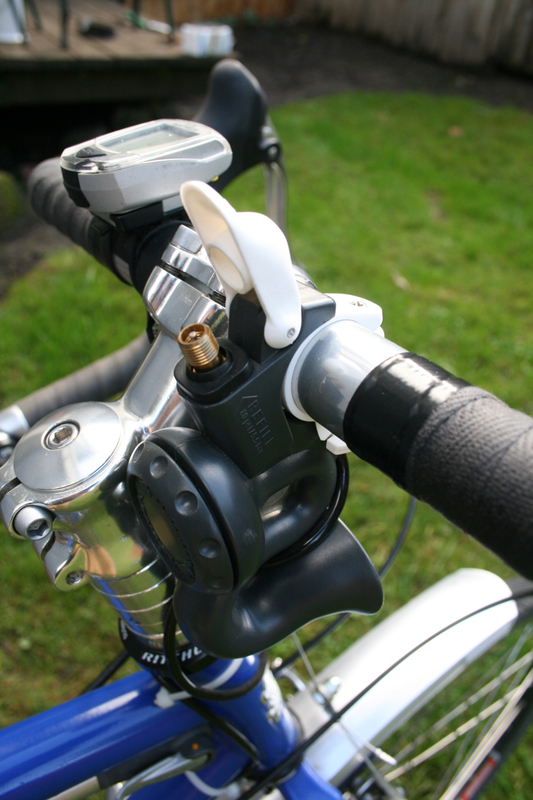 The horn has a button over a schrader valve that you can refill the bottle with air through. The bottle can hold up to 80psi (claimed to be about 30 blasts). This is a closed system, so if the hose gets pinched, or punctured, it won’t work. Delta doesn’t offer any repair kits. Placing the horn on the bike took me some time before I got it mounted where I liked it. There is little space on my bars for accessories, but I still figured out a good way to mount it. The bottle and hose are another story. The bottle is a smaller diameter then the average cage, so it’s hard to fit it in securely. It might have been nicer if they had made it out of thicker plastic and made it fit like a cycling water bottle should. The bottle is wrapped in velcro and it comes with another velcro strip to zip-tie onto the frame. 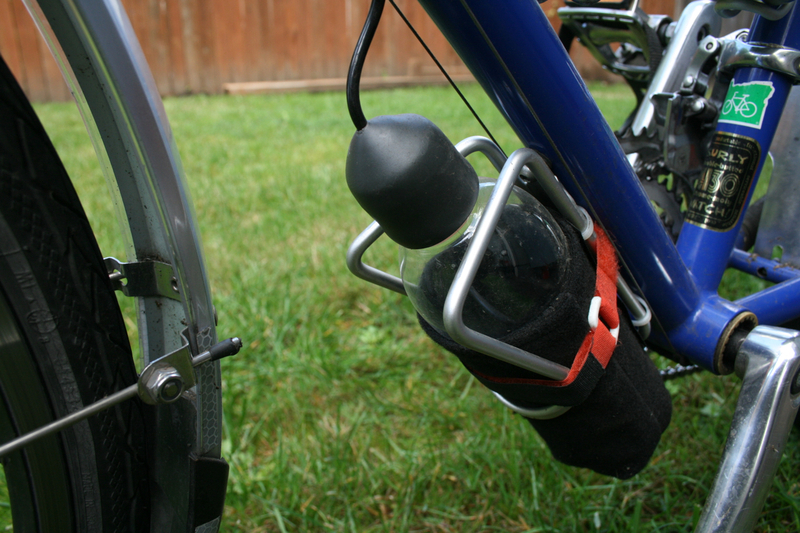 Different kinds of bike frames will have different set ups for the Airzound. The tube that leads to the horn can also be hard to route. Make sure not to crush the tube under a zip-tie; that will cut off the air, or worse, break the tube. The easiest thing to do is run the tube alongside the cables. 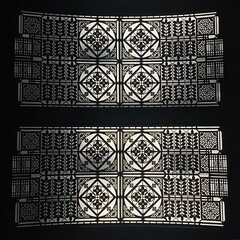 The overall manufacturing quality is good, no flaws. The sound from the horn is extremely loud. It really works when you’re trying to get a car’s attention. The drivers seem to get surprised when there is such a loud sound coming from a little bike. But that is what this horn is all about. I must warn you though, this horn is not to be used towards other cyclists or pedestrians. Please be cautious about using it around people who aren’t in cars. It is claimed to be up to 115dB. This falls in between a car horn (110 dB) and a jet engine (120 dB). There is a volume control, but I haven’t experimented with that feature. I prefer to leave it on the loudest setting, just in case. Even when I know I’m about to use the Airzound, the noise that comes out of it startles me sometimes. I try to warn whoever I’m riding with before I use it, so they are prepared. I haven’t had any problems with mine yet, but have read cold weather will dampen the sound. All in all, this is a great horn for cyclists, whether you are bike touring on country roads or your daily commute involves a lot of traffic. This horn lets you be heard when needed. The Delta Airzound Bike HornMSRP is $39.99. I bought mine off of Amazon for around $25, and I have seen them in most LBS for around $25-30. There is nothing else out there on the market to really compete with this product. So bottom line is, if you want a horn to make others aware of your presence when necessary, this will do the trick. 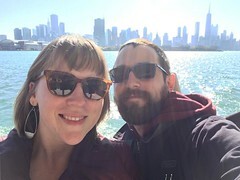 This entry was posted in BIKE, Reviews and tagged bicycle, bike, bike commute, bike tour, review. Bookmark the permalink.